YOU ARE HERE is a rare opportunity to view historic maps of our city in conjunction with work by eleven London artists who bring an extra dimension to cartography. Art at its best transports us to otherwise inaccessible places. Both artist and viewer arrive with a fresh perspective. Seeing ourselves in a new way and understanding our place in the world are especially important as we celebrate milestones such as London's Sesquicentennial. The contributors to this exhibition have explored and charted their experience using intriguingly diverse materials and techniques. Through their subjective map-making they reveal not only what is vital to themselves, but to the community and visitors to London, Ontario. 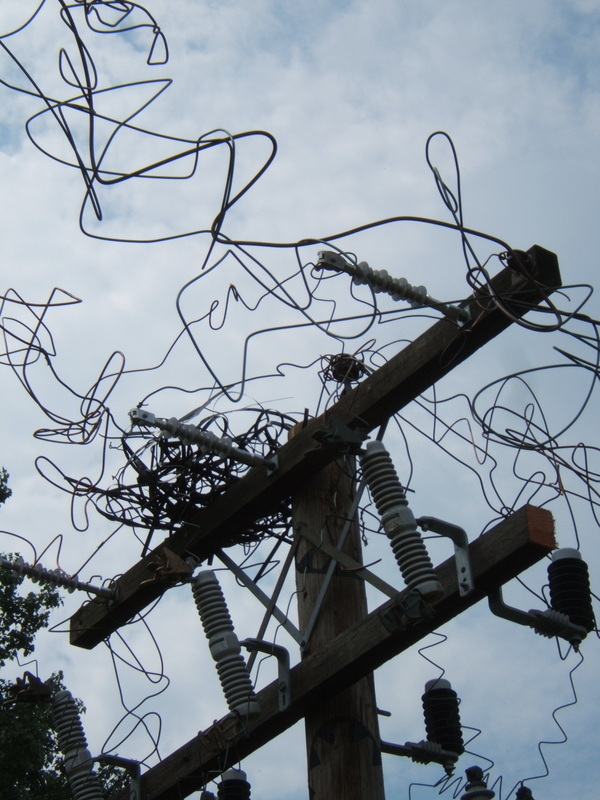 Hydro poles also function as a communication tool at ground level. I collected Yard Sale signs for two summers as I cycled to work from the Forks of the Thames to White Oak Road & Exeter Road in London, Ontario. These signs as well as the route are represented by painting, carving and a variety of other media forming a new "bark" for the poles. 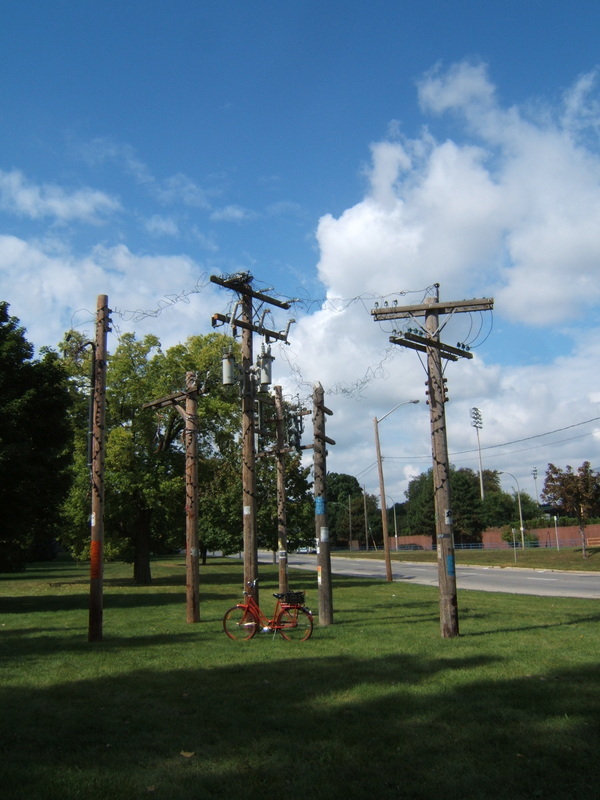 The London Hydro Pole Yard in the spring of 2005 where I painted and prepared 6 hydro poles for installation. I had spent the winter making signage (industrial embroidery), wire macrame, stencils and so on in my studio.